Up the Road is a public-interest journalism project dedicated to sustaining the Northern California story. Up the Road enjoys the journey, too, pointing out worthwhile things to see and do along the way. As a 501(c)(3) nonprofit journalism venture Up the Road looks ahead (“up the road”) to thoughtfully explore the economy, the environment, and social equity in Northern California. It also embraces travel as an effective path for sustainability education. Here as elsewhere around the world, responsible travel means appreciating and conserving natural resources, preserving cultural and historic sites, and supporting local and regional economies in healthy ways. 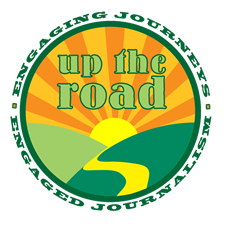 Founder and editor Kim Weir started “up the road” in search of viable nonprofit business strategies to support independent journalism, now in serious decline. Nowhere is this loss greater than in rural areas, where in-depth news coverage has always been scarce. 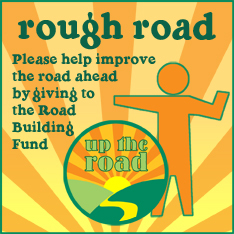 Given that reliable information is essential to a healthy democracy, Up the Road aims to fill some of Northern California’s “knowledge potholes” with honest, independent reporting, thoughtful analysis, and respectful conversation. Up the Road is proud to be a member of the Institute of Nonprofit News, formerly the Investigative News Network, which provides education and business support to its nonprofit members and promotes the value and benefit of public-service and investigative journalism.